Description: Packaging text in English, French & Spanish. Box Text: Have You Seen the Black Page? Rumor has it that the site is a hoax or a prank. A few people say it is a bridge to something sinister. This is the story of a chain of events that will forever alter the lives of 4 people. 02-04-2019 silverbow Description Packaging text in English, French & Spanish. 02-04-2019 silverbow Box Text Have You Seen the Black Page? 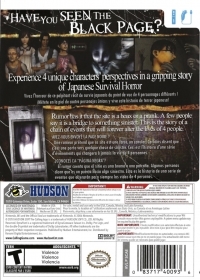 Experience 4 unique characters’ perspectives in a gripping story of Japanese Survival Horror Rumor has it that the site is a hoax or a prank. A few people say it is a bridge to something sinister. This is the story of a chain of events that will forever alter the lives of 4 people. 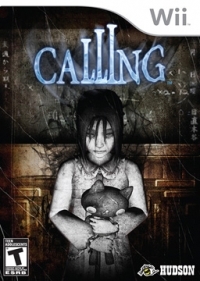 This is a list of VGCollect users who have Calling in their Collection. This is a list of VGCollect users who have Calling in their Sell List. This is a list of VGCollect users who have Calling in their Wish List.